Suffering from hair loss? Well, who isn't? Hair loss is so common these days that both men and women start experiencing it at a very young age. In men, this problem is often associated with growing older and having a genetic tendency to develop male pattern baldness while in women it can be a different matter altogether. It is important to tackle the root cause of the problem. There are several home remedies that can help you get your hair healthier and longer by preventing hair loss. If you are looking for natural ways to prevent hair fall, look no further than garlic. According to a study published in the Indian Journal of Dermatology, topical application of garlic gel on the scalp can lead to the growth of new hair on the bald areas. Garlic contains sulfur and selenium that can strengthen the structure of the hair shaft, by providing nourishment to the scalp and hair follicles. As you know garlic is packed with antibacterial properties that help prevent germs, yeast, and fungal infections of the scalp. Besides, it can also help in getting rid of parasites that may affect your scalp. 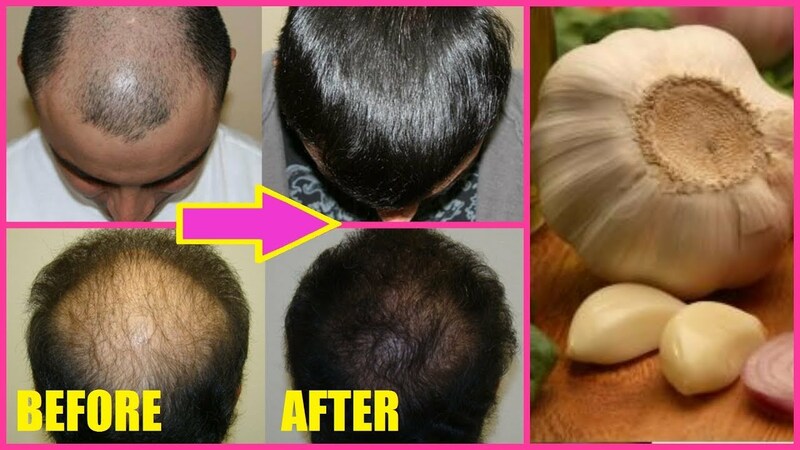 Topical application of garlic can also treat an itchy scalp; remove toxins and impurities from the scalp, therefore, promoting growth of new hair. Never tried garlic oil for hair loss? Well, give it a shot if you are having hair loss problems because it is believed to be extremely beneficial in treating hair loss problem. To prepare garlic natural oil at home, all you have to do is chop garlic in fine pieces and then soak them for a week or two in olive oil. Store the concoction in the fridge to preventing from turning sour or bad. You can easily get odourless garlic pills from your local drug store to prevent hair loss. An ideal dosage of the pill is one pill a day and should not be taken more than that. Another simple method to use garlic for hair involves infusion of garlic with deep conditioners. Another easy and effective way to stimulate growth of hair is to apply raw garlic on the scalp.